At Office Sign Company of Fargo, every one of our signs, name plates, and badges can be personalized with any text, full color logo or graphic at no additional charge - We don't store huge quantities of preprinted, generic signs. Using your custom text we create your own custom waiting room signs, exam room signs, corporate badges, elevator signs, dental office signs and conference room signage - or simply show off your corporate colors with full color corporate logos on metal plates. All signage comes with free mounting hardware of your choice. Our brushed metal series of office signs, name plates and door signs are available in silver, gold, copper or white metal nameplates. We also stock wood tone office signs and sign name plates in virtually ANY color to match your existing office signs or to enhance your interior design - we can print and match any color on our white plates to match any office decor. Our white office sign plates are coated for dry erase use. 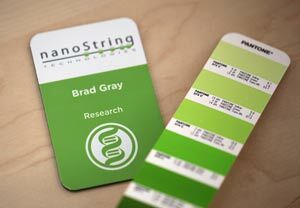 Most of our products have frame color options to accurately match the colors in your business environment. Every architectural sign and name plate can be personalized with board room names, doctors room names, titles, employee names, personnel, no smoking, copay info, conference room numbers and so on. The text, corporate logos and graphics on our signs is permanent and the signs wipe clean easily. Thank you for visiting www.officesigncompany.com, a company dedicated to professionals seeking quality interior office signage and medical name plate signs. Cool office signs fabricated right in the heart of beautiful downtown Fargo, North Dakota. Largest selection of premium name plates & name badges, sliding message office signs, conference room availability signs, government office signs & Military Nameplates. Located in historic downtown Fargo, ND. All sign products Made in the USA.